Is WordPress the best platform for your business website? Formerly developed as a blogging platform, WordPress has evolved into the biggest website builder on the internet. Every third website is powered by the platform, which is testament to its increase in size and stature over the past 16 years. The popularity extends to businesses, with more brands than ever before looking to market through WordPress. WordPress can guarantee high levels of security for both your brand and potential visitors. With the high risk of attack, this may be crucial to finding the best CMS for your brand. A lower risk of attack will mean less downtime, which will help protect the authenticity of your business and its level of trustworthiness. It will also help secure visitors from identity and financial loss, which may cause untold levels of harm to themselves and their families. 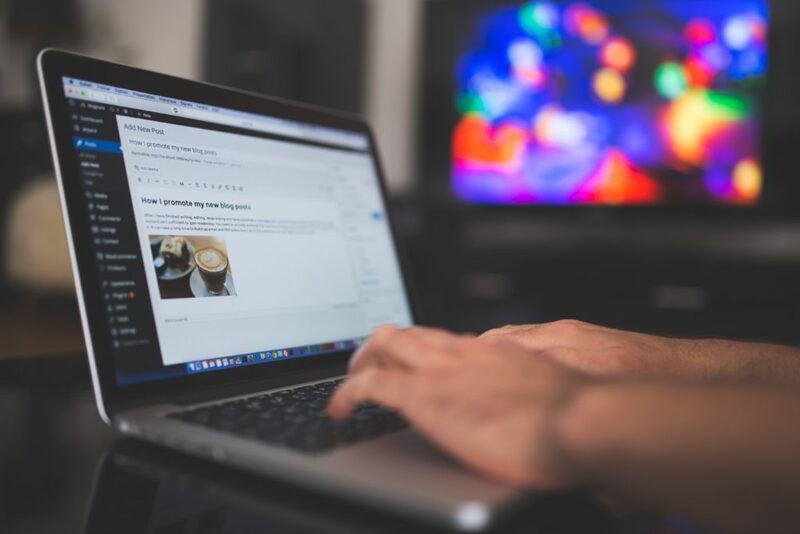 WordPress guarantees a high security index, provided users are willing to keep different aspects of their websites updated to reduce the risk of vulnerabilities. It also provides additional tools to help maintain a high level of security. There are tools for a number of other functions, which may be accessed for free. Here are a few reasons why you should consider WordPress for your business website. The platform’s popularity is a key factor in increasing the amount of resources available for users, interested parties and website owners. There is a great demand for WordPress-related information, with many website owners dedicating their websites to WordPress topics alone. There are also a number of guides and tutorials available online, which can be accessed through popular platforms such as YouTube and interactive forums. You will be able to find detailed WordPress support for any challenge you may face during installation, configuration, monitoring and maintenance, which should help you run your website seamlessly even when you are relatively new to the platform. The large market force also drives demand for new products, which ensures that websites on the platform can always be tweaked to improve their ability and function, with a little help from the large support team. From professional templates to minimalist frameworks, WordPress website owners have a variety of options. In line with the platform’s principle, users have complete control over all the content posted, as well as layout and design. You can choose your preferred set up from the large WordPress repository, which offers the biggest selection of website customization options available on the internet. Aside from tweaking your website’s appearance, you can also improve the functionality. There are so many plugins available, which offer different features that users may be interested in attaching to their site. There are also more plugins for necessary tasks such as monitoring security levels, storing backups, as well as a series of tools to help you optimize your website for speed. You can even set up multilingual portions of your website to help attract visitors from all around the world and grow your business in new frontier. These plugins and themes, which allow users to customize their websites exactly how they want to, will help make your website truly unique to your business. No matter how complex the layout or design, WordPress could be the best platform to create a customized website. With over 4 billion users, the internet is a viable platform to help grow your brand. However, less than half of these active monthly visitors have access to or use a computer. Many users will prefer mobile interfaces, with a recent surge in unorthodox devices such as gaming consoles and televisions suggesting that even fewer users will retain access to the web via personal computer. In order to maximize on these potential clients, you will need to set up a website on a platform that is mobile friendly. WordPress is highly responsive to mobile interfaces. Most of the themes are compatible with mobile, and will guarantee access to mobile users. The platform is so mobile friendly that users can visit your website on unconventional devices such as gaming consoles. This makes it easy for interested parties to visit your WordPress website, which will cause a spike in visibility levels. The platform also features a mobile app that may be helpful for website owners who are looking to monitor and manage their website without any help. If you do not want to hire a WordPress developer, you can still use plugins and take advantage of the mobile application for a convenient and enjoyable experience. You can make all types of changes to your WordPress website, either by installing plugins or manually replacing snippets of code. Users with a high level of coding skill can take advantage of WordPress’ open source nature to develop a customized website in line with their needs. By being open source, WordPress allows these types of changes without running the risk of complete deletion. Users can view and tweak the code, which allows for development of new features and functions such as those developed by WordPress fans over time. Using the platform can also help you get a hang of the code, which should reduce the need for professional service providers in future. The open source nature of WordPress, which has overseen continuous evolution since the platform was developed for bloggers, combines well with the free installation and configuration on offer. You can set up and use WordPress without having to incur a single expense. Even if you do not know how to run a website and have little experience with coding, WordPress’ simplicity makes it an ideal platform for you. It is free to use and is mobile friendly, including for website owners who can manage their website through the mobile application. The features provided on the platform are comprehensive, which means that you can customize your website uniquely. If you are having problems with any part of installing, operating, maintaining and monitoring your website, you can find help from any one of the dedicated WordPress channels and forums for a detailed guide. WordPress’ features make it the ideal website to grow your brand.